Is This Brisbane’s Ultimate Party Destination? How many single addresses boast a whole heap of primo destinations under the one roof? Not a lot, that’s for sure. Generally, when we say night out, you think a dark, cramped, sweaty venue where you can’t find a seat and there isn’t anywhere to put your drink, so you just stand in an awkward huddle plotting your move to the next location, which requires coordination, travel and always results in a buzz-kill. Not ideal. What if we told you that nights out don’t need to be like this? That somewhere out there (inner-city Paddington, to be precise) there’s a venue with not one, but four night-time options that are just begging you to stop by and have just ‘one more drink’. You would tell us to put a sock in it, because a place like that doesn’t exist in Brisbane, obviously. Oh, darling – how wrong you are. Plus, there’s uber delicious food. We’re talking wagyu bresaola with truffle mayo, pea and fontina arancini, salmon mousse in a charcoal cone and many, many more delicious offerings to make your night perfect. All at your beck and call. 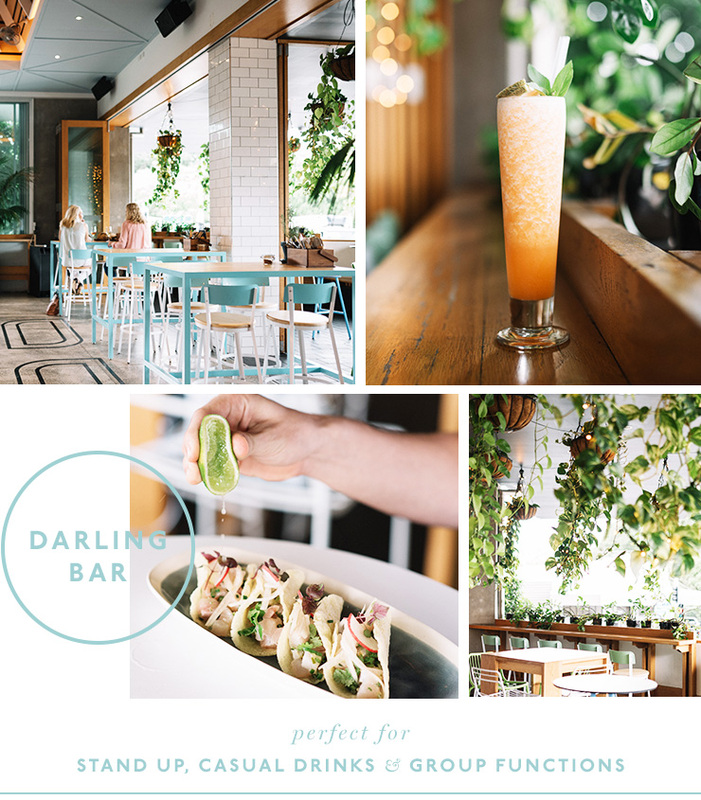 Introducing Darling & Co Paddington. This Brisbane restaurant, bar and function venue boasts a bevvy of spaces ripe for your next night out–trust us. Gone are the days of leaving one location only to wind up in line at another. This Paddington landing-pad has all of your bases covered for your next event or night with friends. The recently redesigned Main Bar is in the midst of everything Darling & Co has to offer. Blending contemporary finishes with retro elements in a nod to the building’s history, the new bar is warm and inviting, transitioning seamlessly to the restaurant adjacent. Available as a fully reserved or VIP sectioned function space, this area is both the perfect starting block and resting place for a great night out with friends. Also perfectly positioned as an ideal assembly point before a Suncorp Stadium event, followed by a must-have nightcap after. 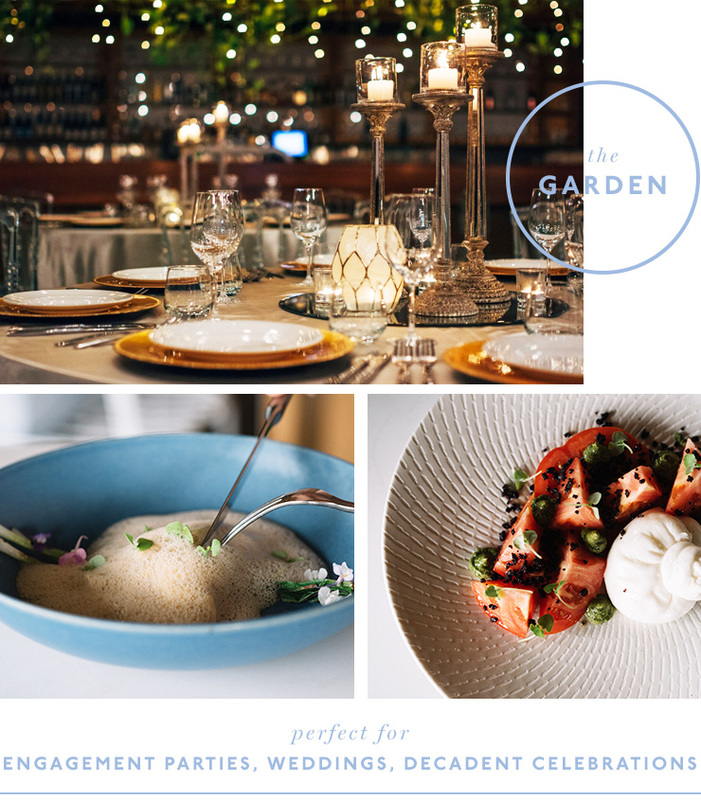 Featuring hanging plants and a lush botanical ceiling, The Garden is a sophisticated space for classy, sit-down functions in Brisbane. Ladies listen up, this is the perfect location to host your dream wedding, engagement party or a decadent high tea. Unforgiven is the handsome, older brother of The Garden. Think leather, dark corners, candle light and boutique spirits. 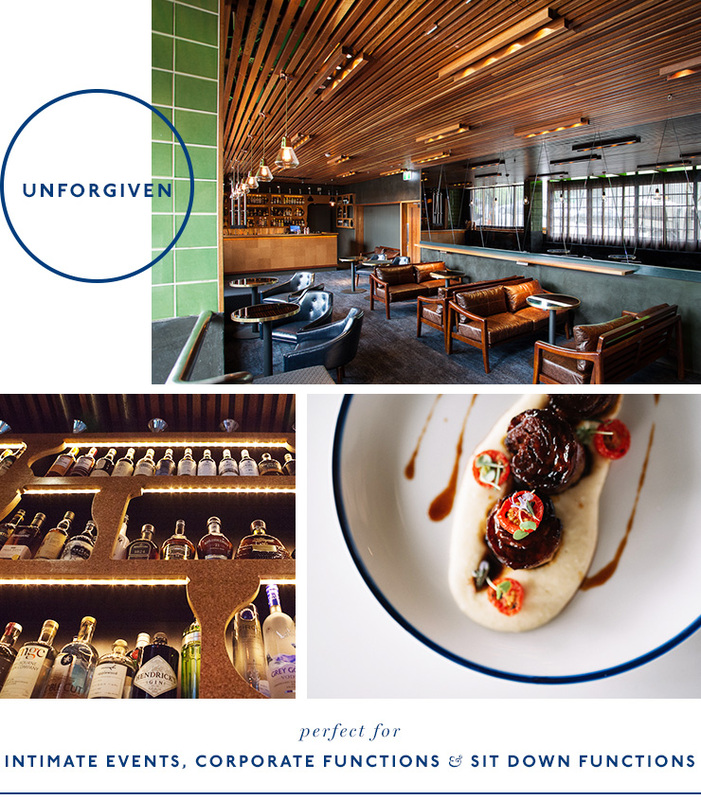 Unforgiven is hidden away from the rest of Darling & Co; tucked away and this oh-so-secret function space is perfect for an intimate event like a private dinner, exclusive cocktails or classy, candle-lit drinks. This is the ultimate location for a bespoke, sophisticated function to remember. Swayze’s BackStage is a vision in blue. Bursting with old world charm, luxe lounges, a bustling bar and a resident peacock to boot. This private space is perfect for cocktail parties or intimate sit down dinners. 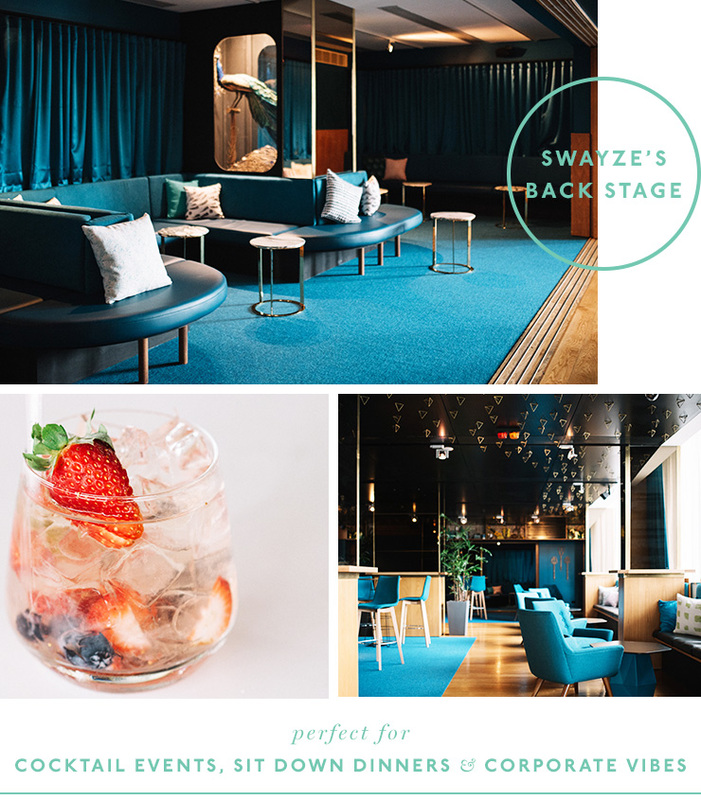 Swayze’s Back Stage can also transform a not-so-boring meeting room for corporate events. This space deserves a medal it’s so versatile. Sounds epic, right? It is. To snag one of these spots for your next event check out the Darling & Co website. Editor's note: This article is sponsored by Darling & Co and proudly endorsed by The Urban List. Thank you for supporting the sponsors who make The Urban List possible. Click here for more information on our editorial policy.